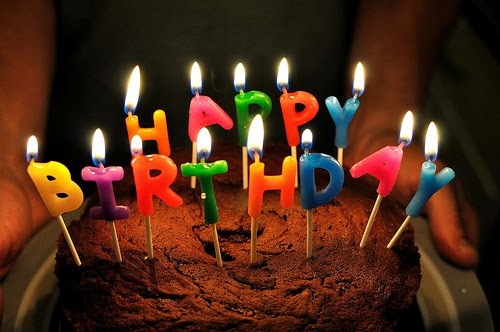 Even though our blog birthday was on January 1, we are celebrating it all year! On our 8th Birthday, we decided to celebrate 2014 by celebrating others who inspire us every day. Each month, on the 1st (or so) of the month, we will celebrate a fellow blogger whose work has inspired us. We feel so lucky to be part of the blog world that we want to celebrate all that everyone gives us each day. This month, we are celebrating teacher and poet, Amy Ludwig VanDerwater! Her blog, The Poem Farm, is an amazing poetry and writing instruction resource for teachers. On the "Find a Poem" page, Amy has all the poems on her blog indexed by topic and technique. There is also a link to her amazing A-Z Poem Dictionary Hike, her 2012 National Poetry Month poem-a-day project. 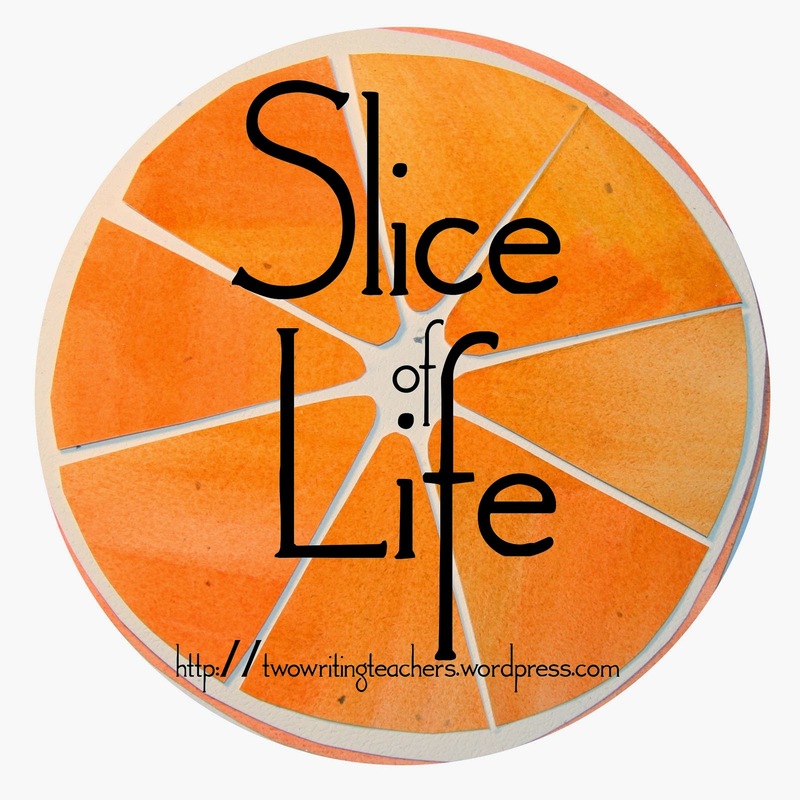 Amy shines a spotlight on teachers and students and the poetry work they are doing in the classroom. On her "Poetry Peek" page, you can visit the classrooms she has featured. "Hello, nosy friends! This blog is written by many different notebook-keepers, highlighting pages from a variety of notebooks: paper, digital, napkin, any kind! Read here, and learn how students, authors, artists, teachers, and people of all types use notebooks to strengthen their thinking. After reading, you might wish to try something new in your own writing, drawing, thinking..."
Amy is the co-author of one of Lucy Calkins' Units of Study writing guides, and is in the midst of a beautiful swan dive into the crystal blue water of children's book authoring, with one published (Forest Has a Song) and FIVE more forthcoming. 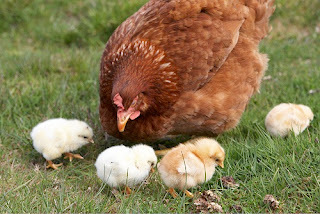 If you read Amy's blog or follow her on FaceBook, you know that besides being a poet, writer, and teacher, she is mother of three, wife of a science teacher, and very much the farm girl of her blog's Poem FARM name. And you know that one of her (and her family's) passions is rescuing and placing orphaned cats and kittens. Although it veers a bit from our typical donation to a literacy or child-based organization, it just feels right to donate this month, in Amy's honor, to Colony Cats, a local organization that rescues cats as well as practicing TNR (trap, neuter, release) to support the feral cat colonies in the Columbus area. The cat who generously lets AJ and me share his house is a former Colony Cats rescue cat. He gave a twitch of his tail as the sign of his approval of this donation. This poem first appeared on the blog in April of 2011, but besides linking to it in a post this week, and sharing it with my current students, I have connected with several students from former classes this week, and my heart is filled with joy that they carry good memories of being in my 5th grade class. As I set out on the year's journey with a group who won't be sharing memories or stories of influence for 7+ years, it's good to be hearing from these former students! These are our Lessons From Cup Stacking, and they have turned out to be such important big ideas that I find myself referring back to this chart on a daily basis, at some point or another. I keep saying that I'm going to fancy this chart up when I get time, but I actually like its organic roughness so much that I might never get the time! Maybe I'll give it a title, but that might be all. The cup stacking challenge was given to "tribes" on the first day. They had a stack of six styrofoam cups and the only tool they could use to make a pyramid was a rubber band that had four strings tied to it. They couldn't touch the cups. They couldn't touch the rubber band. They could only touch the strings. After every group was successful, we talked about what had happened. The group that finished first automatically gave themselves a new challenge. We decided that would be the right thing to do ANY time you finished early. We talked about how to handle disagreements. There were lots of strategies: go with the majority, try everybody's idea, really listen to each other, and talk it out calmly. If only our world leaders would keep these strategies handy! We talked about the importance of struggle, and when struggle is a good thing. I assured them that I am here to make sure that their struggles don't overwhelm them. We listed lots of different ways to name "keep trying." They have the option to modify a task I give them. In this case, one group chose a new place to work, but we talked about other ways they could modify a task, but still do what they were being asked to do. That might mean they do things in a different order, use different materials, or accomplish the same outcome in a way I haven't even thought of. I want my students to be active participants, always thinking of the best way...for them. And, of course, I have the option to intervene and modify their task for them. I had to do that for the last group to finish. They were so close and they knocked one of their last cups down. I picked it up and put it back so they could put the last cup in place. For the geography challenge, I asked for "focus groups," but the IS was in to support a few kids, so I allowed for a homogenous group of four instead of a mixed group of 3. This point is helping me model flexibility. We ended with some general big ideas for group work in our classroom: BE DEPENDABLE, use TEAMWORK, and have FUN! I assured them that even though I planned to challenge them to work really hard this year, I would always do my best to try to make the work fun! I started with the big idea: Learning is Social. With that in mind, I knew I would want my students to work in all different kinds of groupings. In the past, saying, "Get together in groups" took valuable time away from the instruction or task, and instead of making all feel included, often resulted in kids being left out until grudgingly accepted into a group, usually with me facilitating. This year I decided to be more explicit about what I wanted from groups. As I introduced the various groupings in the first days of school, I gave team-building or curriculum-based tasks to the groups to complete. So they practiced making the groups AND working in them. The biggest group is the whole class. Our family. You don't get to choose your family; you're born into it and you have to make the best of it, even when some family members get on your nerves. I'm the "mom" of our family -- a single mom with a LOT of kids! (It was fun to share my poem "I'm Your Mom" at this point.) We will defend our family members fiercely. We've got each others' backs. The next group is your "tribe" -- the people with whom you feel most comfortable. 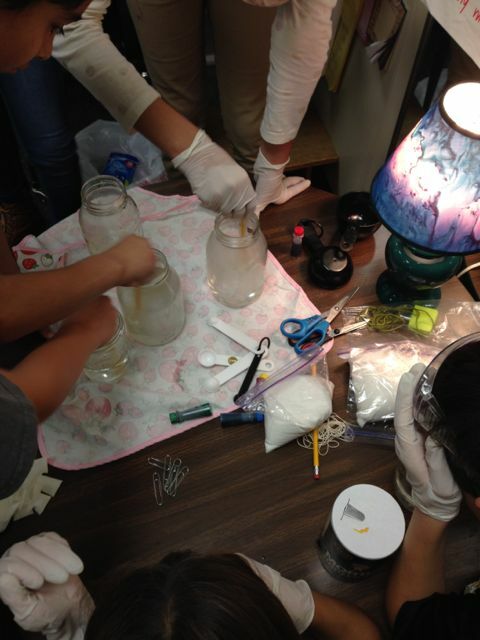 I want my kids to know that it's natural, and in my room, acceptable, to want to work with your friends sometimes. Don't we all? Another grouping is "focus groups." In market research, focus groups are made up of a wide range of consumers so that the researchers can get the most valid results. Our "focus groups" are a mixture of boys and girls, tribe members and non-tribe members. The smallest unit is partners. Sometimes your partner is a tribe member, and sometimes I ask for mixed gender partnerships. Partners sit knee-to-knee to talk, and side-by-side to look together at a book or the work they are doing. When we practiced making groups, the one rule was that the groups weren't formed until everyone had been included. We practiced asking to join a group, and we practiced inviting someone to join in. Yesterday, when it was time to form focus groups for a geography challenge, I was amazed (pleased, relieved) to see how quickly the groups were formed and how no one had to invite themselves into a group -- groups invited singles cheerfully, not grudgingly. Mixed gender groups didn't feel weird or awkward because they are Focus Groups with many perspectives. Just about as quick as I could snap my fingers, the groups were made, and the geography challenge was on. Labels: community, small groups, today's "trout"
Over the summer I read a post by a teacher who asked her students in the morning class meeting what he/she was most looking forward to that day. I loved that question and the stage it set for each day in a classroom. I decided we'd use that in our morning meetings this school year. As I continued to plan over the summer, I started to think about how all of our workshops have share times that could connect in some way. I wondered if we could connect learning across content with reflective questions that set the stage for joyful learning as well as reflection. With the help of Gretchen, our new literacy coach, I came up with a list of 10 questions to focus our conversations. I I wasn't sure how it would go but I created a sign for each question and posted the 10 questions in our meeting area. Before I even mentioned the question, kids were talking around them. They had noticed the questions and started thinking about them. So it has been easy to use these for general conversations and the kids have been amazing in the ways they are thinking about themselves in our classroom. We use them throughout the day when we are gathered together for conversations. I I have the questions posted and I plan to give them a copy of the questions on a single sheet for their notebooks. These questions were a great way to kick off our school year and to help kids begin to think about what our year will be like. 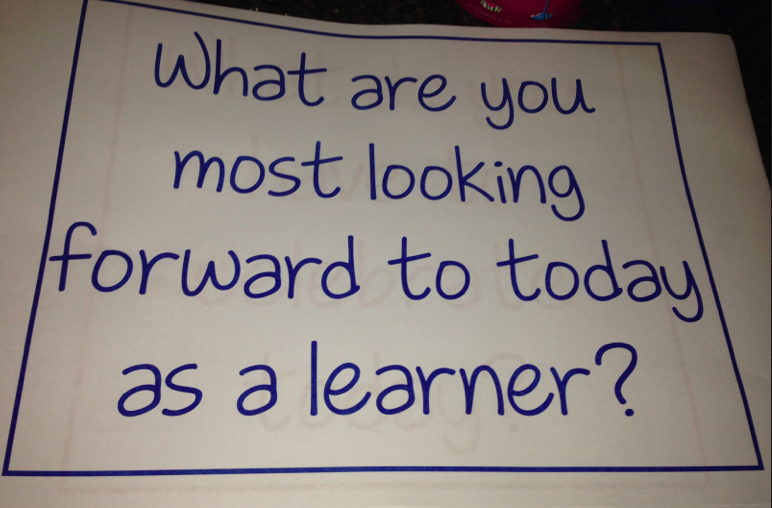 What are you most looking forward to today as a learner? · What do you have to celebrate today? · What did you learn about yourself as a learner today? · How were you kind today? · How did you get through something challenging today? · What do you understand today that you didn’t understand before today? · What are you excited to share with someone today? · What did someone do to help you today? 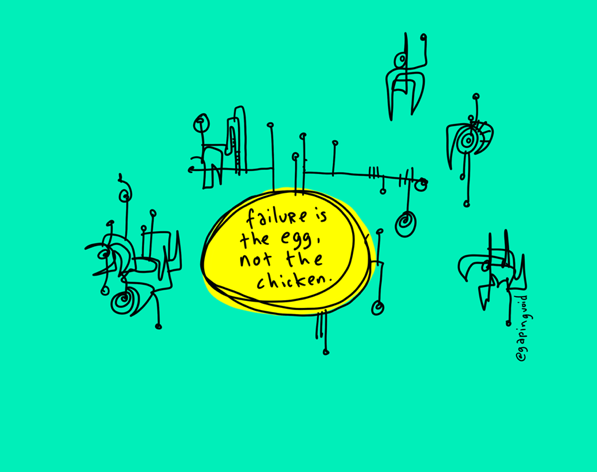 · How were you brave as a learner today? · How did your thinking change today? It's Math Monday! Join Mandy at Enjoy and Embrace Learning for the Math Monday link up! The first few days of math are always so interesting as I listen into conversations. On the third day of school, we used our math time to do a "Numbers About Me" project. I've seen this often on Pinterest and blogs and wanted to make sure we started the year thinking about math in our world. It was an interesting conversation as their eyes lit up each time they realized the things in their lives that involved numbers. They were simple things but making the connection to math made for a good conversation. We combined this with self-portrait work and the kids had a great time creating themselves with their Numbers About Me information. Poetry Friday: So. Much. Joy. ’T IS so much joy! ’T is so much joy! You can see the poem in Emily's own handwriting here. Lots of great conversations these first couple of days of school about the importance of struggle, of perseverance, patience, and practice. Growth mindset. We watched Kid President talk about inventing, and we read The Most Magnificent Thing. I think we're ready to dive into the hard work of fifth grade. I splurged yesterday and bought a little purple Moleskine journal to keep track of my "trout of the day." We're two days in and I'm having a hard time picking one "trout." I'm thinking that bodes well for the year. We've had a change in the Poetry Friday roundup this week. Irene is taking over for Robyn. Head over to Live Your Poem to leave your link. 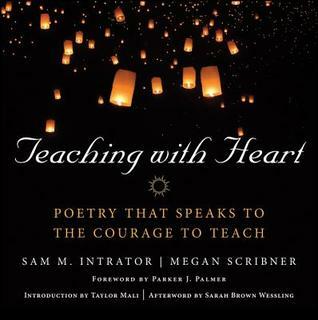 I have loved the first volume this duo edited, Teaching with Fire: Poetry That Sustains the Courage to Teach for 10 years. The poems and accompanying essays have buoyed me up and carried me forward. This new volume already has five poems sticky-noted for sharing, and dozens of others that made me nod and smile. In times when we have to keep stuff like this in mind, it is good to have a place to go where our profession is valued, understood, and truly celebrated. This is a book I will turn to and thumb through many times throughout the school year, in good times and when I'm worn down and worn out. Plus, how much fun is it to find my Poetry Month pal, Kevin Hodgson (Kevin's Meandering Mind, @dogtrax), right there on pages 18-20 in the section "Relentless Optimism" sharing "What Teachers Make" by Taylor Mali (who wrote the introduction to the book)?!?! "For years I couldn't figure out why as a poet I still felt this way. But it makes perfect sense. Because on a very basic level, being a poet and being a teacher are inextricably linked. Whether teaching or writing, what I really am doing is shepherding revelation. I am the midwife to epiphany." Today is our first day day with students. Nothing could be better than approaching this day as "the midwife to epiphany." 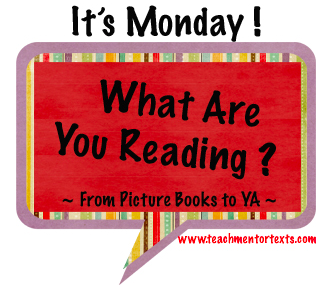 Head over to Teach Mentor Texts for the It's Monday! What Are You Reading? round up. I have a whole collection of "Lady Who Swallowed a..." books, beginning with my very first one from a Scholastic book fair when I was in elementary school. Lucille Colandro has written almost a dozen different versions. 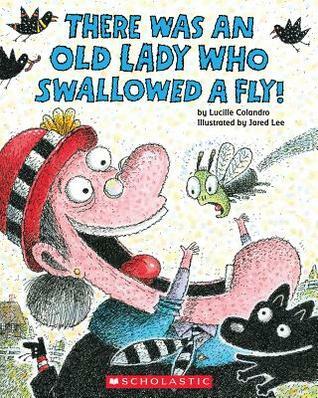 This one is okay, but if we're going to go with swallowing a fly, I like the traditional ending! This version is hysterical! 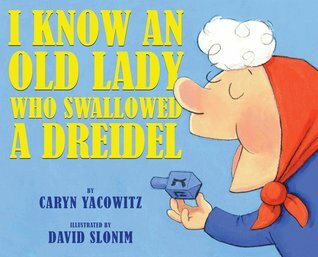 Not only does the old lady swallow everything you need to celebrate Chanukah, each item gets larger and impossibly larger, dreidel rhymes with fatal, AND...AND the illustrations are parodies of famous/sculptures in art history (details in the back matter)! So. Much. Fun. Shelve this book with INTERRUPTING CHICKEN. 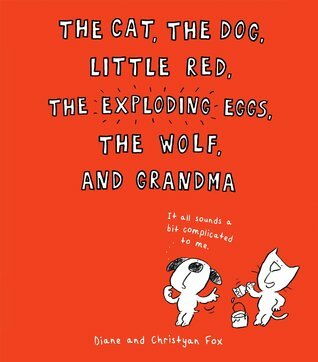 Cat can't get very far with her reading of Little Red Riding Hood before Dog interrupts with some assumptions and questions. First of all, he hears "cape" and goes immediately to super powers. Then, he wonders (reasonably) why the wolf doesn't just eat Little Red right there in the woods. And so on. Fun stuff from the beginning endpapers to the end endpapers. 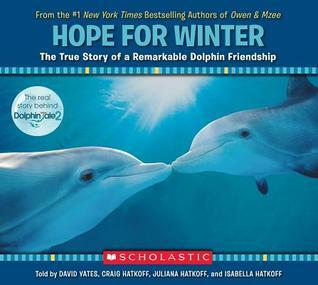 Another great addition to this series (Owen & Mzee, Knut, Looking for Miza, Leo the Snow Leopard, Winter's Tail) about a rescued orphan dolphin who becomes a friend for Winter, the dolphin with a prosthetic tail. 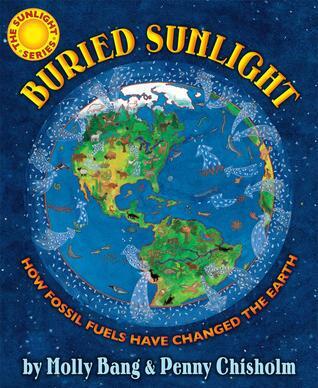 Next up in the Sunlight Series, we learn how fossil fuels were made and exactly how the burning of fossil fuels is releasing carbon chains that have been stored for millions of year into our atmosphere and changing the climate of our planet. Narrated by the sun, this book (the whole series, actually) is a must-read for any student (or adult) who needs to understand energy and the role of our Sun in...well, everything! Yes, I used that photo for my SOL post on Tuesday. Then later on Tuesday, I filled a giant recycling can with most of the contents of a filing cabinet that then left my classroom, providing a space for a shelf (emptied of professional books which migrated to the back cabinet, which was emptied of...) yadda yadda blah blah classroom setup. That's not the point of this story (but maybe I'll share some before and after pictures next week). The point being, as I browsed through folders before flipping them into the recycling can, I found a folder of my writing from years back, including this poem. It builds nicely on the fishing theme from my SOL post. Heidi has the roundup this week at My Juicy Little Universe. Why am I just learning about this artist? Why have I not been following a blog entitled, "Today is going to be awesome"? I love this little book because I love quotes and I love calligraphy and I love giving myself crazy challenges (like writing a poem a day, or taking 30 pictures every month and then making a mosaic). That's pretty much how this book was born (minus the poetry and photos). Lisa Congdon noticed that she gravitated toward art that included lettering, decided she wanted to get better at calligraphy, and then started a project where she published something hand lettered on her blog every day for a year in 2012: 365 Days of Hand Lettering. I could get lost in her archives. It's pretty amazing that she started by just doing single letters that look clunky and forced, but within a month, her own unique style began to emerge. And then she started doing quotes. They are beautiful...unique...a perfect marriage of text and art. Last year, instead of posting any class rules, I challenged each student to choose their very own "Words to Live By." Instead of one set of generic rules for 20+ individual students, we had 20+ individual rules to represent the fact that each person is the boss of his/her own self. This year I want to help my students think about the graphic design of their Words to Live By posters that will hang around the classroom all year long. This will be our mentor text. 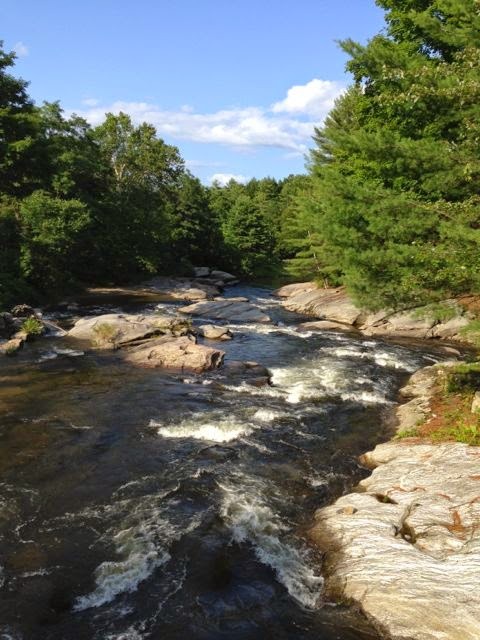 If I had known when we set out for our fly fishing trip to Vermont that I wouldn't catch a single fish, I probably wouldn't even have bothered to try. Don't get me wrong, the trip was not a failure. There was the otter, the kingfisher, the B&Bs, the Orvis Outlet Store, Niagara Falls. There are a myriad of moment-uous memories. Just none that involve trout at the end of my line. That got me thinking about high stakes testing. I "fish" my heart out for the entire school year, and invariably, I don't "catch" much. And then I beat myself up. Well, this year's going to be different. I'm not going to worry about the year as a whole. Instead of taking one big trip that depends on a single outcome, I'm going to slice this year up into 180 daily jaunts. Whatever good comes with each day (whether I aim for it, or it happens in spite of my intentions) will be the "trout" of the day. I know this isn't a new way of thinking, but it finally makes sense to me. And I'm going to go with it. Let's check back in a couple of months and see how it's working out for me. Until then, I'll wish you tight lines, and be sure you watch your back cast. So excited that Mandy began a weekly time for us, as bloggers, to share our thinking about math teaching and learning. 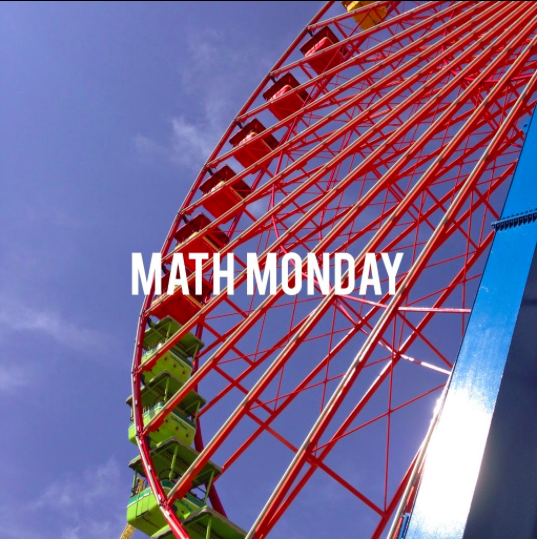 Today is the first Math Monday! You can find the round up on Mandy's Blog, Enjoy and Embrace Learning. Last year, our Math Workshop went pretty well. But not as well as I had hoped. One area I knew I had to work on was Opening Routines. I had read Number Talks the year before and used the Number Talk routine daily. But I found that it became very rote when it was the only routine I relied on. So I have really focused on new routines and have found some great resources to kick off quick routines and also to build on those routines through the year. I started in the spring exploring the Howard County website. There is a whole section on routines for 3rd grade so I read about some new routines that would support math learning. 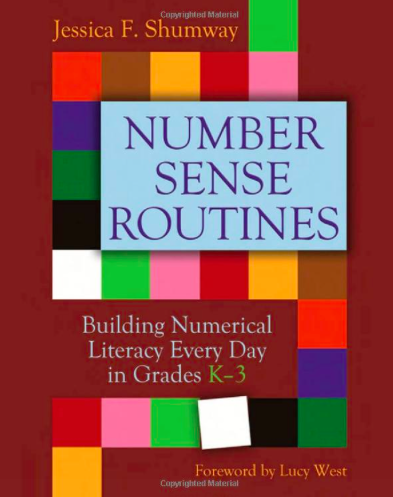 Then I revisited Number Sense Routines: Building Numerical Literacy Every Day in Grades K-3 . This is a book from Stenhouse that I was familiar with but revisited this summer with 3rd graders in mind. As more of an intermediate teacher, it was helpful to remember all of the math tools that support kids when making sense of number. 3rd is on the upper end of primary but I find so many kids need more support than I think they do at this age. Lots of great ways to support number sense. 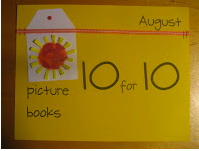 Finally, I discovered my favorite new resource for math routines. 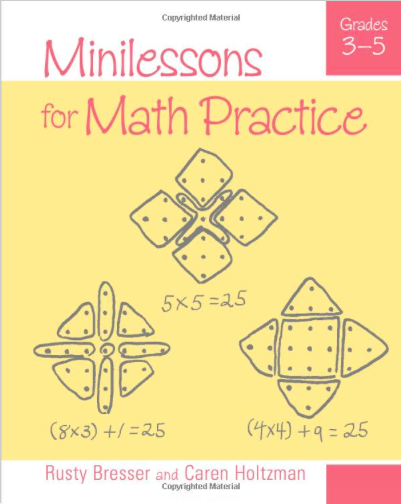 It is Minilessons for Math Practice, Grades 3-5 (there is a K-2 version, also) . I bought this book because Mandy had recommended it and I thought it would be filled with mini lesson ideas. But as I browsed through, they seemed more like opening routines to me. I noticed that the blurb on the back of the book said, "Designed to use during transition times, mini lessons require little or no preparation and take only 5-15 minutes to teach. These activities can be repeated throughout the school year...". These were the routines I was looking for. The book focuses on Grades 3-5 and shares 27 routines. Each short chapter focuses on one routine. Ways to introduce the activity, student examples and ideas for extending the activity are part of each chapter. This is a great resource! So excited I discovered it! I decided this year that I'd share 10 books I'll use to kick off Genius Hour. I want my kids to understand what Genius Hour can be and each of these books give a message I want them to carry into Genius Hour. I doubt I'll really get through all of these books early in the year but these ten will start conversations that will help us have a vision for what Genius Hour can be. Whether you do Genius Hour or not, they all have a great message about learning. 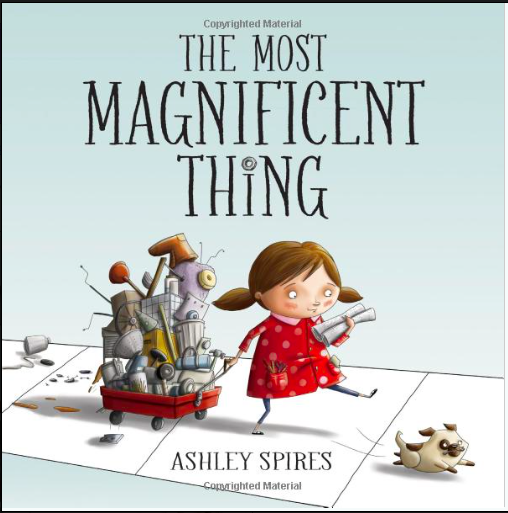 The Most Magnificent Thing - I reviewed this one here in May. It's a fabulous story of a girl with perseverance and grit. She works through her obstacles to create something magnificent. 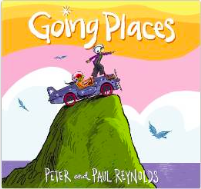 Going Places by Peter Reynolds is a great story about thinking outside of the box and how thinking together is often better than thinking alone! I like the collaboration theme in this one. 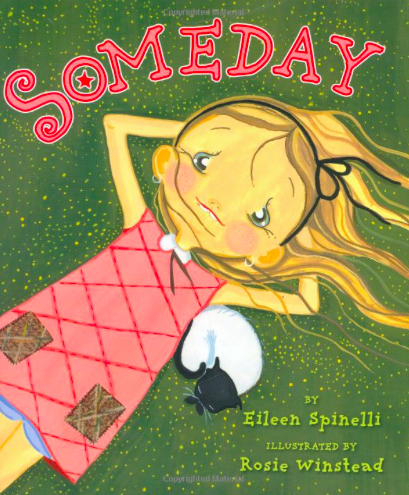 Someday by Eileen Spinelli is a great book that invites conversation around working toward goals, trying new things, etc. 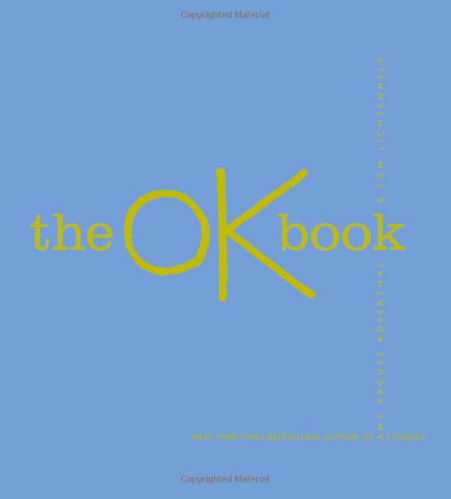 The OK Book is a simple book that reminds us that it is okay to not be great at everything--to try things and to just have fun with giving things a try, learning, and having fun. 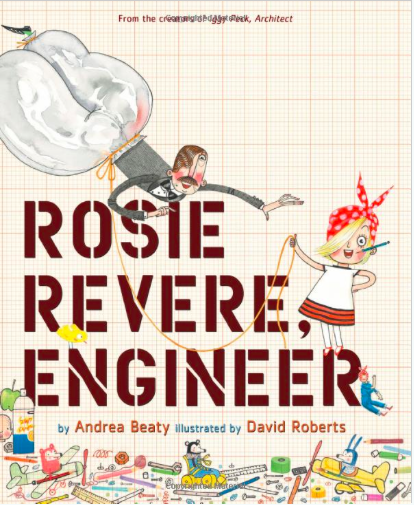 Rosie Revere, Engineer is a fun book about mistakes, not quitting and finding joy in the journey of discovery. 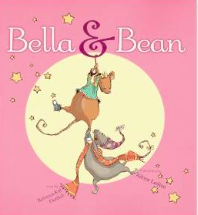 Bella & Bean is one of my favorites. I love that it is the story of two friends and that one has a passion for poetry. Letting friends explore their passions and celebrating those with them is something I hope this book invites conversation around. Beautiful Oops! 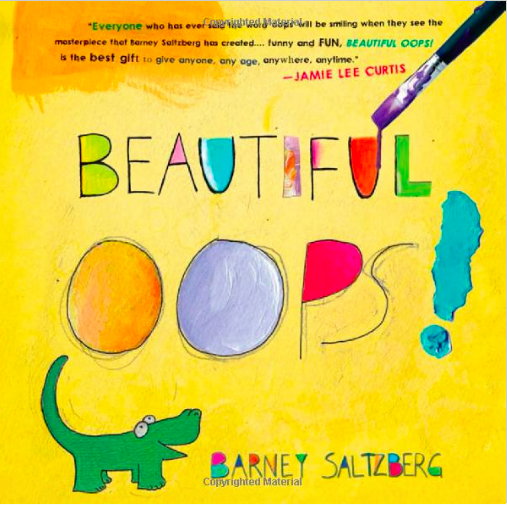 is a fun colorful picture book that reminds us that some of our best ideas come from mistakes! 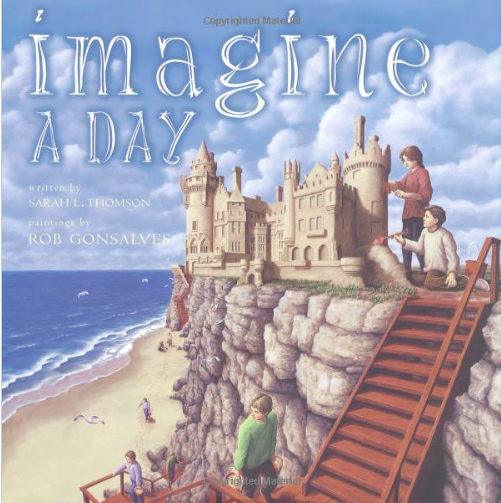 Imagine a Day (Byron Preiss Book) will invite conversations about imagining a perfect day at school. What would that mean for you? I want them to know they have ownership of their learning time. 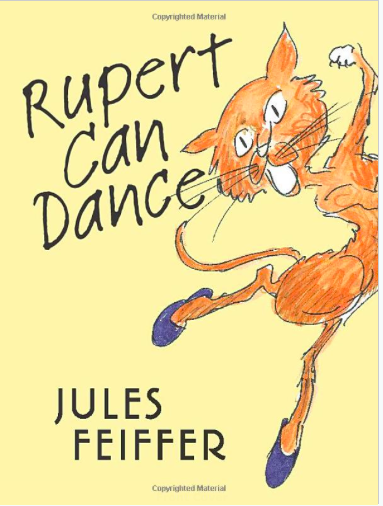 In Rupert Can Dance , Rupert keeps his love of dancing a secret for a while. We'll use this to talk about those things you always wanted to learn about or try. 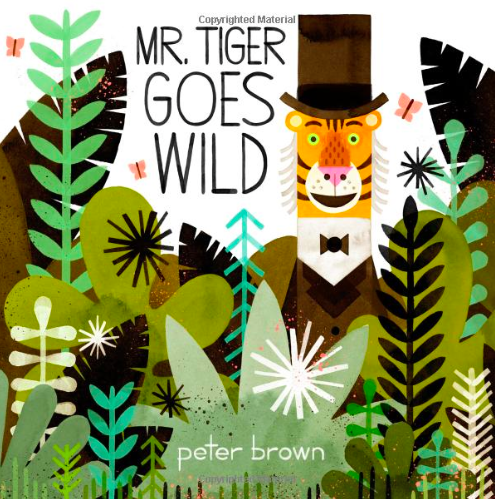 Mr. Tiger Goes Wild (Boston Globe-Horn Book Awards (Awards)) will remind us that it's okay to step out of your comfort zone and try something new.